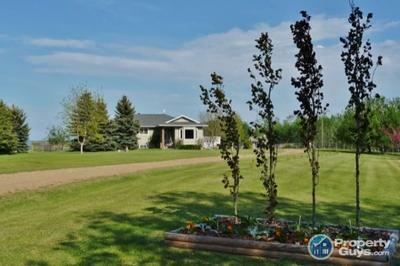 Situated 4 miles NE of Wetaskiwin on 80 beautiful park like acres, is a wonderful 2000 square foot bungalow with a fully developed basement and oversize attached 2 car garage. Updates include new siding, new shingles and mostly new windows. Also new furnace, hot water heater, and updated septics. Open concept kitchen, dining and living room, very large master with a bay window, and large full ensuite bath. There are two other large bedrooms and a bathroom on the main floor and a full bath and extra large bedroom downstairs. The rec room runs the full length of the basement and has a wood fireplace, with the laundry room downstairs as well. The house has extra large closets and tons of storage areas. There is a 40 ft x 80 ft shop that has all new metal with a 14 ft overhead door on one end and an 8 ft overhead door on the other and a fully enclosed tackroom or office and an area for stalls if wanted; presently 4 12x12 pipe stalls . There are four corrals and four horse sheds, and sand riding areas for training and riding your horses including a 100x220 open riding arena, 140ft cutting pen, 75 ft round pen, and a mechanical cow pen. Many trees have been planted in the last 8 years, half of them over 15 ft high presently. They are shelterbelt trees and require no work. 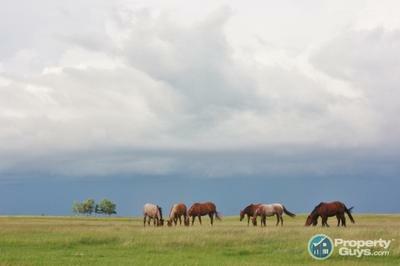 The house is set back from the road and the whole yard and corrals are rail fenced. 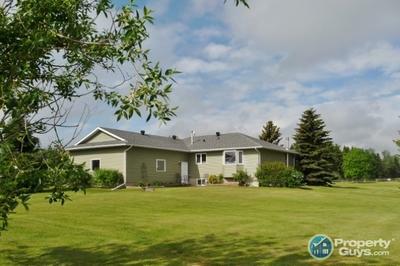 This acreage is on a deadend road and very quiet with great neighbors. Forty minutes to Edmonton, less than a hour to Red Deer, 20 minutes to Camrose, 25 minutes to Nisku. This rare large size acreage is paradise, only a half mile from Pipestone Creek, an area filled with 150 ft spruce trees, walk your dogs, ride your horses and live a great life. 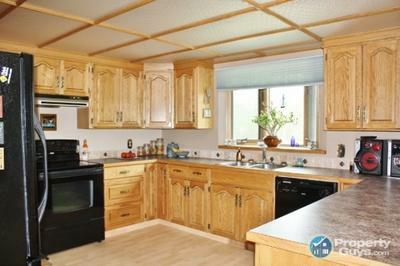 This is a great family house and area, safe and quiet. Return to Hobby Farm - Alberta.